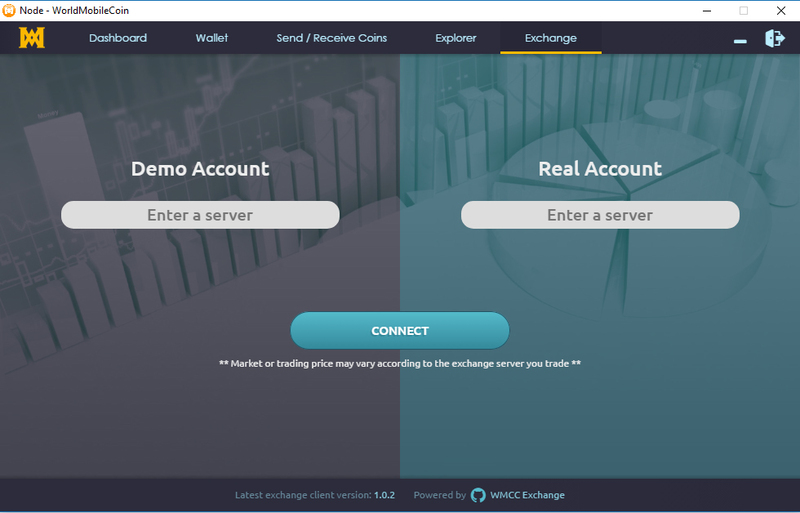 - Now you can trade wmcc coin using wmcc desktop app. Hello dear community. We are pleased to announce that we have done a great deal of technical work recently, which we will report in the future. 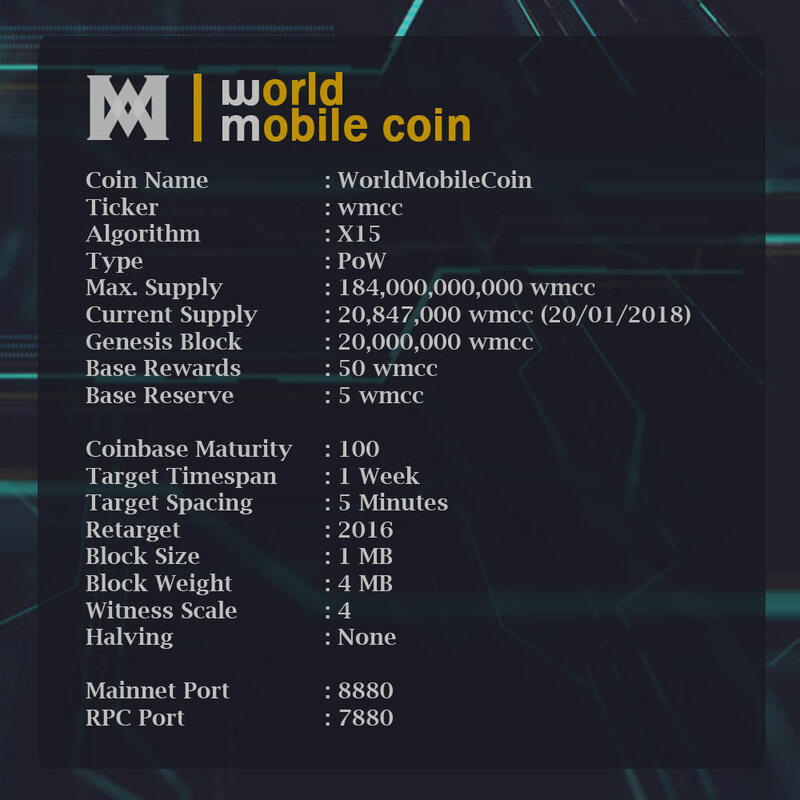 Today WMCC Team understands that early diggers are already bored and want to get their profit. We understand this and do our best to protect the interests of all participants. Now technical work is underway to enter foreign markets. And also preparing for the presentation of an interesting tool that you will also like. But now we want to give you the opportunity to start communication and get acquainted with each other, as well as to make an exchange. We are pleased to present the ESCROW interim solution. On the official channel, you can not worry about cheating and find your buyer. 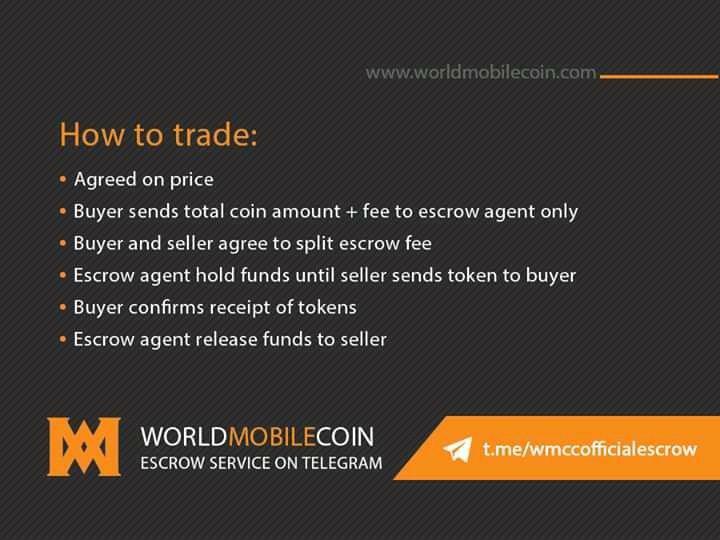 Please join telegrams channel https://t.me/worldmobilecoindiscussion, new official ESCROW https://t.me/WMCCOfficialESCROW. See you there.